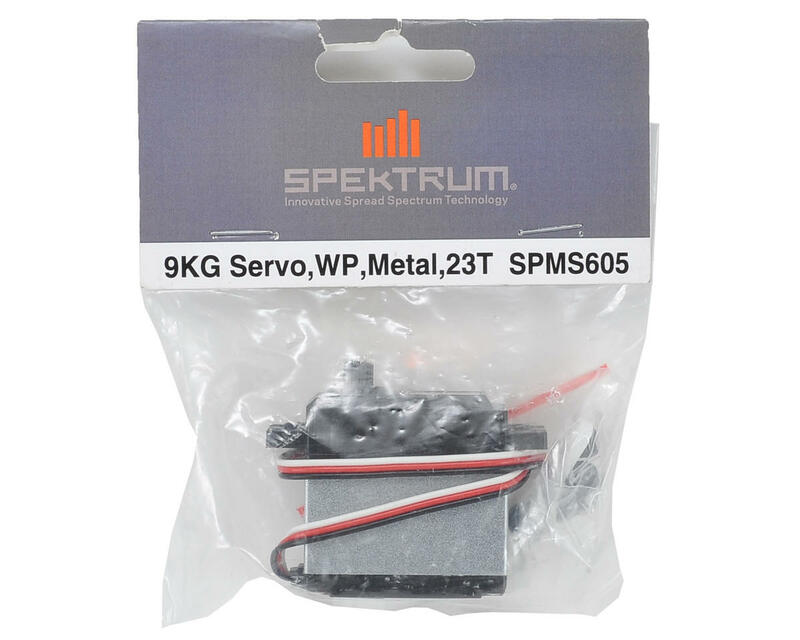 This is a Spektrum S605 Water Proof Metal Gear Servo. 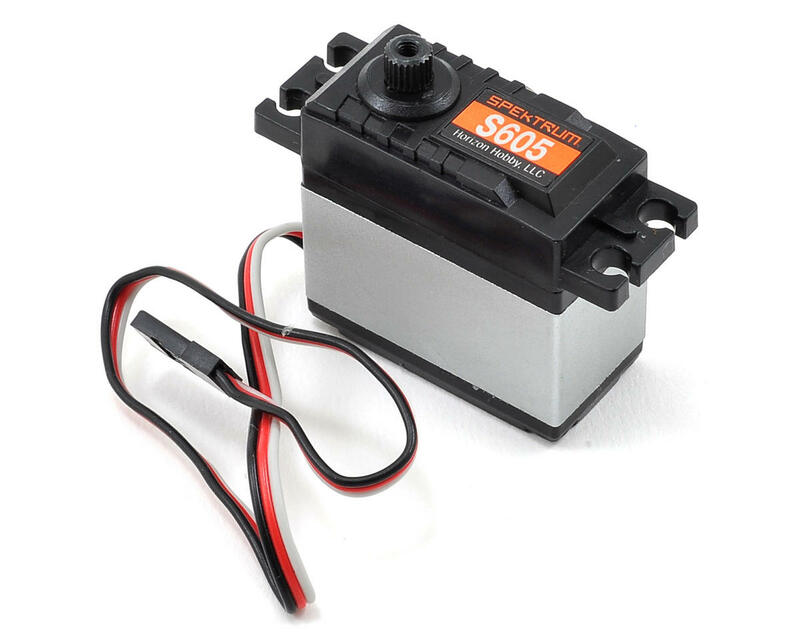 The S605 servo combines 9kg of torque (about 161 oz/in) with the cool feature of being waterproof. 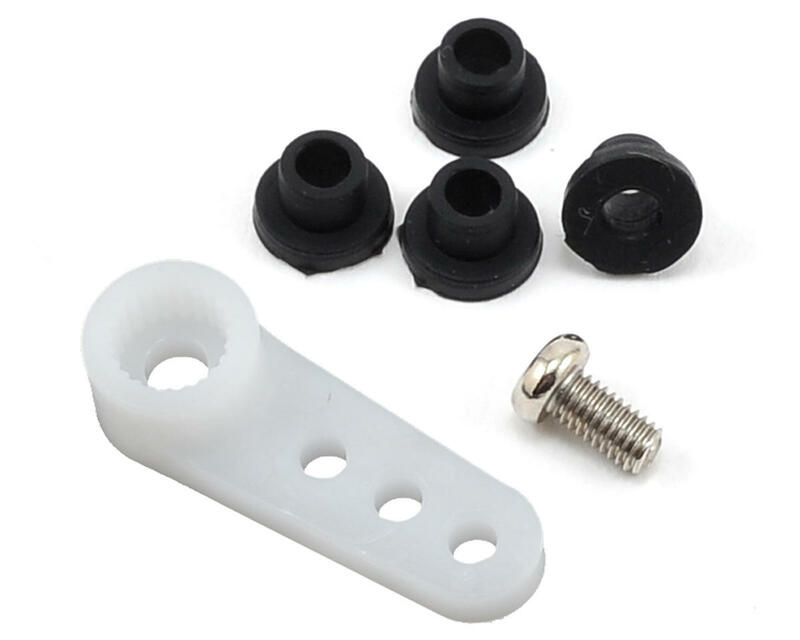 Package also includes a servo horn and mounting hardware. This is the servo that came in my Troy Lee Designs TEN SCTE. This was the first thing I upgraded on that truck. Then I put it in my Vaterra Ascender kit. Once again I'm swapping it for a Savox. It's junk. Slow, no torque. Don't do it. Well, my dad has this servo in his Slash and it is very slow. It has no torque and can't even set itself straight. Definitely will be replaced by a Traxxas or Savox.